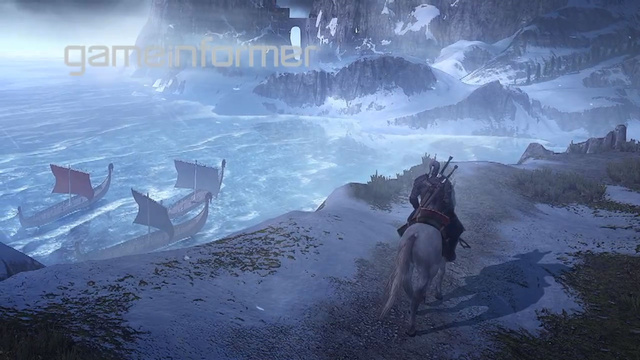 "The Witcher 3: Wild Hunt" Announced! Today, CDProjektRED unveiled their continuation of The Witcher story, and with it, some details on the new direction the game is taking. Unfortunately we don't see much of the actual game in the trailer, and very, very little is said about gameplay mechanics. However, we do hear some things that fans of the franchise will be ecstatic to learn about (video below). Important: I've updated this with a lot more info (found in the quote tags below) and I have new screenshots to share. I won't be posting the pictures here directly (I don't want to crowd the thread with too many) but I will link to the gallery. Here is the link to the screenshot gallery! Probably the largest announcement here, aside from the game itself, is that The Witcher 3: Wild Hunt will be an open-world game! What this means (for those who don't know) is that instead of seeing a somewhat linear progression of Main Quest > Side Quests > Main Quest > Side Quests, and so on and so forth, we'll have complete freedom to complete the game as we wish; just as we can with Bethesda's Skyrim or Fallout. Another wonderful announcement is that we are done with politics! Okay, well not entirely. Politics will still have a stronghold in the world of the game, but political matters aren't the main focus now. Geralt is now a free man; who isn't going to be taking orders from anyone anymore. This story will center more around the roots of The Witcher in monster hunting, and less around droll political squabbles. Light has been shed concerning a new system that is being created for the game: Monster Hunting - although details are non-existant for now. There isn't much else said in the trailer, but we do hear (and get what I would consider "confirmation"), is that The Witcher 3: Wild Hunt is the final installment in the main Witcher series, which will be rounded off as a trilogy; not a four game series that many fans initially expected. Some of Game Informer's digital subscribers have already managed to get their hands on a copy of next months issue; which contains some details that are interesting to see. Here are some of the key points (Courtesy of Kotaku). Monsters drop loot like unobtainable alchemical and crafting ingredients for unique potion, mutagen and item crafting. Lowest level = free form activities like crafting, monster slaying (seems to be much more extensive this time around) and questing. Next level = Political situation of Nilfgaardian invastion is resolved through a core plotline for each area. These areas? 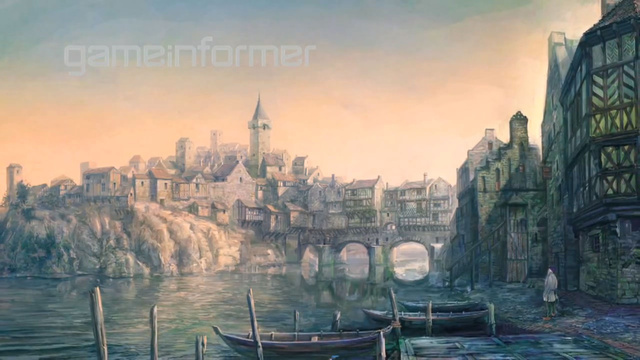 -> Skellige, Novigrad and No Mans Land! 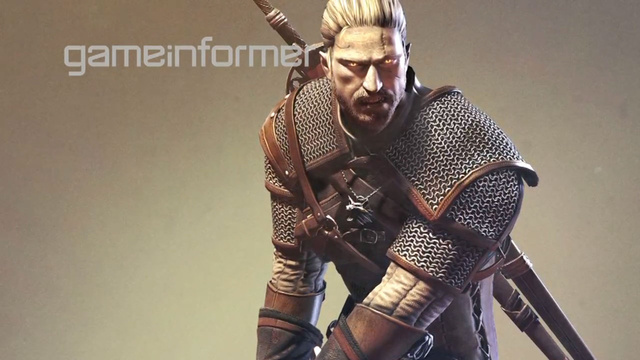 Final level = Geralt's main plot line, his search for his loved ones, and the chase of the Wild Hunt. Each armor piece has unique appearance, new cloth simulation tech. Barber is in from the get go. Dyeing hair is OUT OF QUESTION, White Wolf. Coming out on "all top-of-the-line" consoles—I'd say that confirms next-gen is in. I find the mention of next-gen consoles interesting, but that is neither here, nor there. The point here that made impressed me the most, is the size of the world. I've played Skyrim for quite a while now, and have yet to explore the entire world, so something larger than Skyrim truly gives players a wealth of content to discover. After that final quote, that is pretty much the extent of what we know concerning the game so far- which is quite a bit! Overall, being a fan of the series, I am very excited to see the next installment of this franchise. I believe the direction they're taking in making the game open-world is wonderful, and more importantly, needed. 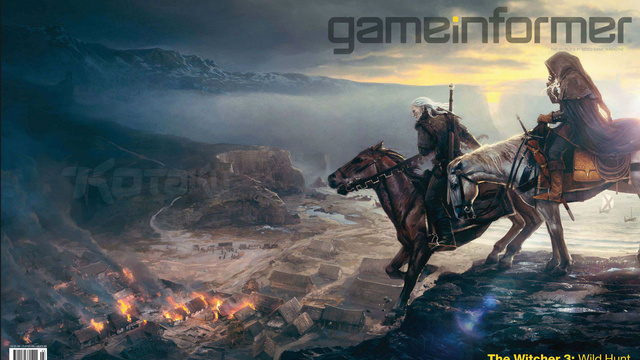 For those interested, next months copy of Game Informer features a cover story for The Witcher 3: Wild Hunt. What do you think? What's your opinion on the series? What do you think about the game so far? Guild Wars, Starcraft, and State of Decay Veteran Unveils "Gigantic"